Frank Rogers is a preferred contractor for a leading provider of private healthcare, Ramsay Healthcare. Having forged a long and lasting relationship with the international healthcare specialist, Frank Rogers has recently completed a large-scale refreshment programme at the firms flagship, Yorkshire Clinic. 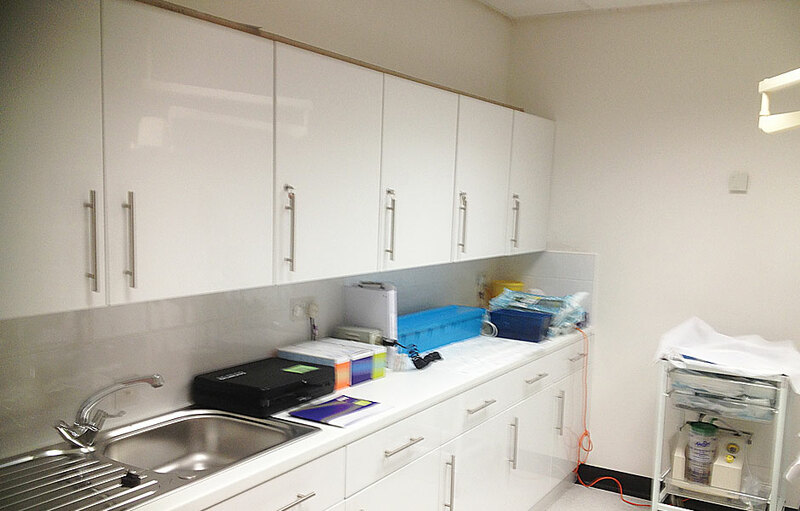 A six month programme, refurbishment works were carried out across an entire floor of the fully operational clinic. A 72 bed clinic, the first floor comprising 27 rooms, was given a complete overhaul, following an initial rip out. Each room (all with en suite), was upgraded with new electrics, bathroom, lighting and full decoration. Communal areas including stairs and corridors were also refurbished in line with Ramsay’s high end global corporate specification. A phased approach was vital if the hospital was to remain fully operational. Close communication was critical and was made possible through weekly meetings between heads of department, infection control, matrons and managers. Work was scheduled with groups of four rooms to ensure minimum disruption. An in-house team including joiners, electricians, tilers, floor specialists etc have scheduled works to run in sync with hospital operation. An excellent relationship has now been established and the project was handed over to a delighted client within budget and on time.